Hey there cool cats, you're invited to 'Hop, Sock 'n Roll!' 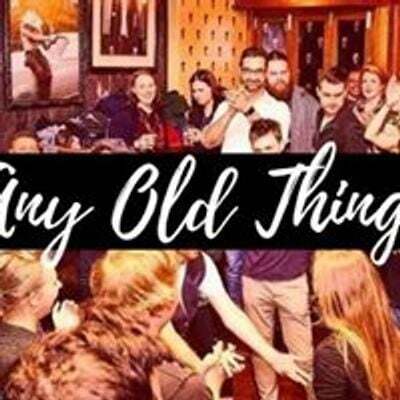 - the hippest new rock 'n roll themed dance party from Any Old Thing! 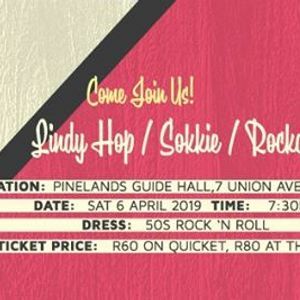 This party features swing, sokkie and rock 'n roll music and partner dancing - so, if you like dancing sokkie, Lindy hop, six or four count swing, Charleston, rock ‘n roll or boogie - then this is the event for you! It's all about letting loose and having a good time! Dress in your best 50's rock 'n roll inspired outfit. We're hoping to see Rockabilly Rebels with (fake or real) tattoos and plaid shirts, Bombshells with victory rolls and polka dot dresses, and Greasers with slicked back hair and (p)leather jackets - amongst rock 'n roll characters. Prize for best dressed! The playlist will switch between two songs each of sokkie, swing and rockabilly/contemporary music all night long - so if you don't dance to one of the styles you won't have to wait long! ;) Or you could stay on the dance floor and mix it up! - dancing music starts promptly and it's all over by midnight - so don't be late! - Sundae Station. What could be better than layers of ice cream, whipped cream, chocolate sauces and toppings… You’ll be considering quitting your day job to start a sundae-serving ice cream parlor of your own! Bring and share ingredients.